A multivitamin pill, ideally, contains a dosage of several vitamins and minerals that your body requires. In our hectic lives, we often do not follow a good diet, and lose out on essential minerals and vitamins that our body needs. A multi-vitamin is supposed to make up for that and ensure that we take the recommended dosage of vitamins that our body needs on a daily basis. There are different multi-vitamins to suit different needs. People over 50 will need more vitamin D, B12 and calcium. Pregnant women need more folic acid, iron, zinc and calcium. Vegetarian people often need more iron. The vitamin requirements are different for men, women and children of various ages. The multi-vitamin pill should also give them the supply of minerals and vitamins while surviving the acids present in the digestive system. The minerals and vitamins should, ideally, not get destroyed in people digestive tract. 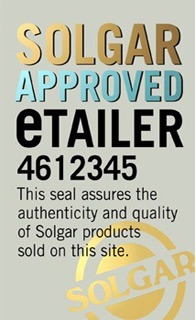 Solgar supplies several different multivitamin supplement products such as Solgar Earth Source 60 Tablets Vitamins-Minerals and Solgar Formula VM-2000 30 Tablets.